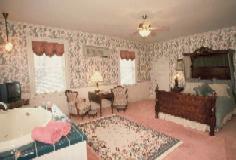 One of the most important elements of your stay at Victoria Gardens will be your guest room. When you open the door to your guest room you step into a private world of luxury and attention to detail. 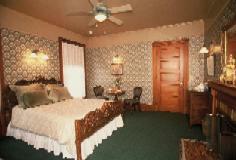 Each room is beautifully decorated with European antiques brought back with us from our seven years in England. 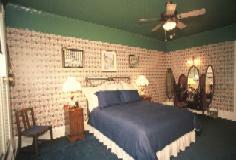 The beds are made with European linens and the softest line dried sheeting. 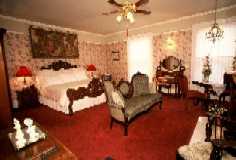 There are tables and comfortable chairs, plus each room has cable television, telephone, coffee & tea makers and DSL connections. Two of the rooms have gas log fireplaces. Your bath will be large and modern with wonderful whirlpool tubs, showers with steam units or large double showers with plenty of fluffy towels. Each bath has a selection of our specialty soaps, herbal bath grains, lotion, shampoo and fragrance packs for the tubs.